A trip for two (2) to Las Vegas, NV from September 21 to September 23 to attend the iHeartRadio Music Festival concert. The approximate retail value (“ARV”): $3,500. The Orangetheory Fitness iHeartRadio Music Festival Flyaway Sweepstakes is open only to individuals who are legal residents of the 50 United States and the District of Columbia and who are 21 years of age or older. 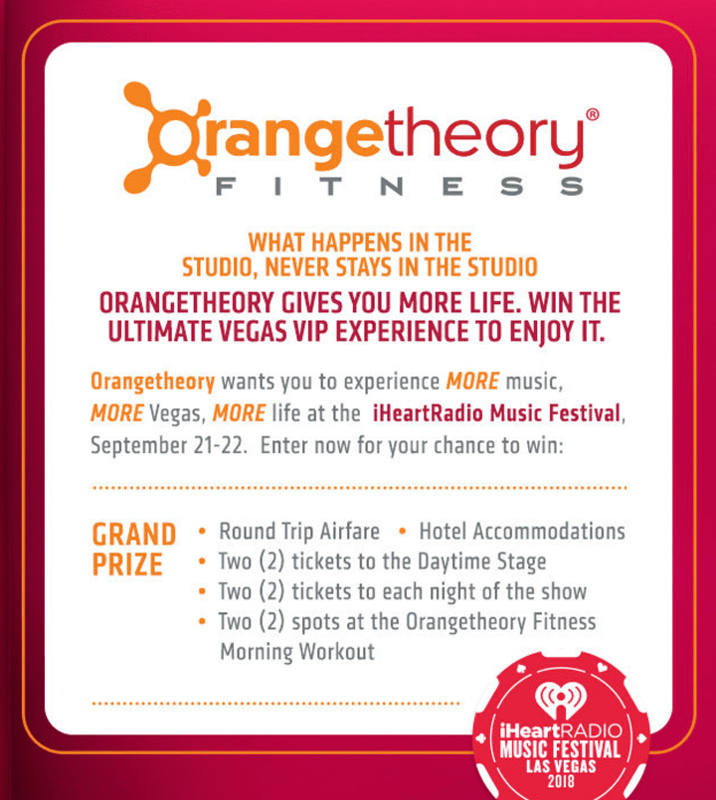 The Orangetheory Fitness iHeartRadio Music Festival Flyaway Sweepstakes ends at 11:59:59 p.m. ET on September 9. During the Sweepstakes Period, visit iheartradio.com/orangetheory and complete the entry form. Limit one (1) entry per person/email address/household per Day.